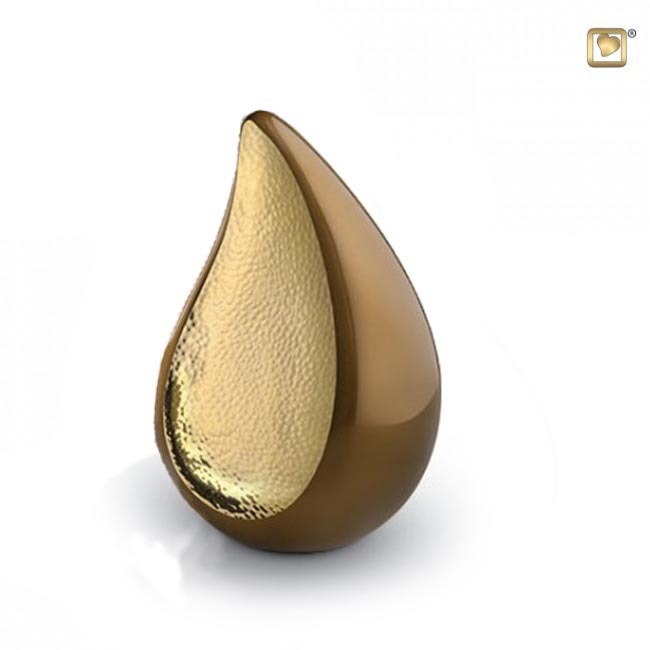 This serene shaped Adult Teardrop Handmade LoveUrn® is handcrafted in solid brass with a hammered gilt. It curves softly in brushed pewter in a gold and bronze colour. Bronze with Brushed Pewter protected with GlossCoat™ technology. This Brass Urn can be engraved on the Pewter front. Please note: This would be an additional charge and could increase delivery time. Please note this memorial will not hold the full amount of an average sized adult. 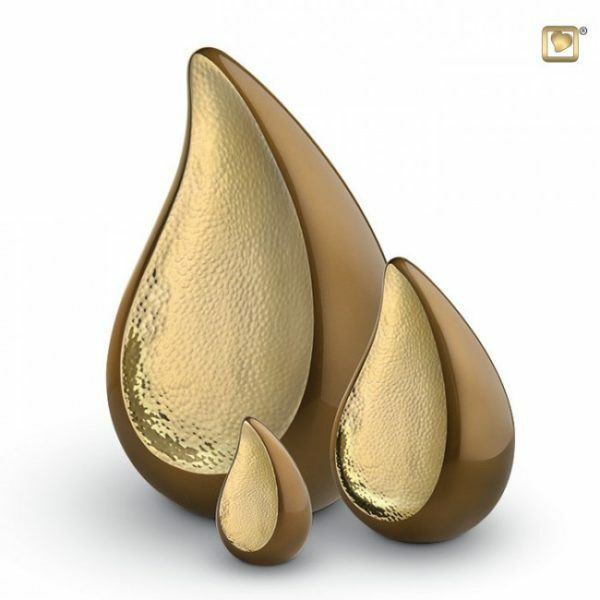 This Teardrop Love Urn is available for Free UK delivery.